Nutrients are one of the essential requirements needed for plants to survive. 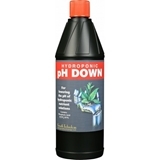 Whether you are growing in soil or a hydroponic system you will have to provide these nutrients regularly to keep your plants looking healthy. There are three main types of nutrient/additive: base feeds, boosters and beneficials. Base feeds are the most essential of the three. 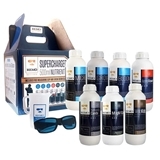 These solutions contain the necessary amounts of essential elements such as Nitrogen (N), Phosphorus (P) and Potassium (K) as well as other trace elements. 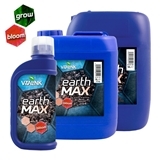 These will ensure that your plants do not suffer from any deficiencies during the course of your grow. Most base feeds are designed for either vegetative growth or flowering with varying levels of nutrients for each stage. There are some feeds (usually for coco) which use the same formula for the entire length of a grow. Base nutrients are available as one, two and three-part sets. Boosters are a type of additive that focus on boosting a certain area of a plant or will stimulate a specific process within a plant. 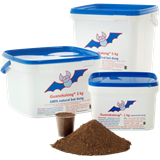 During vegetative growth, most growers will use a root stimulant. 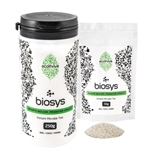 This aids the development of roots – increasing nutrient uptake, boosting growth rates and ensuring that plants have a solid foundation before flowering. There are also many other beneficial additives that can be used during this stage such as foliar feeds, amino acids, nitrogen supplements and vitamins. 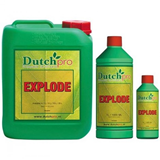 During the flowering stages it is advisable to introduce a Phosphorus/Potassium (or PK) booster. Again, these come in many forms and will ensure that larger, fruit-bearing plants have the essential levels of PK needed for the production of flowering sites. On top of this, many growers will add a flowering stimulator to further encourage flowering sites to form. There are also a number of other additives which can be introduced during this stage such as sugars/carbohydrates and amino acids. Beneficials are additives that help get that little bit extra from your plants. 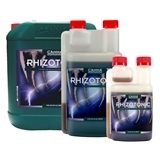 These include enzymes (essential for hydroponics), bacteria such as Trichoderma and fulvic & humic acids. 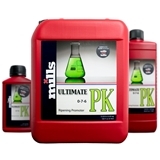 Finally, you will also find products for controlling nutrient and pH levels. These include things such as pH down, cF meters and test kits.  If you wish to find out more about each type of nutrient or additive then click on an icon to the right. Alternatively, feel free to contact us via email, over the phone or at our central South West London store.